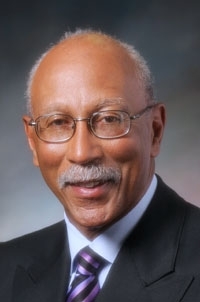 Dave Bing: New mayor of Detroit. Former basketball great Dave Bing will give up his title as chairman of the auto parts company he founded now that hes mayor of Detroit. Kirk Lewis, CEO of the Bing Group, said in an interview today that Dave Bing, 65, had not been involved in the day-to-day operations of the company for several years. He defeated interim Mayor Ken Cockrel Jr. Tuesday by a 52 percent to 48 percent vote in a special election to fill the remainder of former Mayor Kwame Kilpatrick's term. Bing Group, which has 500 employees and annual sales of about $130 million, is a Tier 1 supplier of flat-rolled steel and metal stampings. Lewis said employees were enthused about the election of the former Detroit Piston and seven-time National Basketball Association all-star to lead the city.